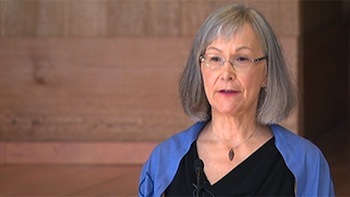 The chief commissioner for the national inquiry into murdered and missing Indigenous women and girls says she and the other four commissioners accept the “serious responsibilities” that have been given to them. This morning, British Columbia judge Marion Buller was named as chief commissioner for the inquiry. She is joined by Michele Audet, Qajag Robinson, Marilyn Poitras and Brian Eyolfson. All members are Indigenous. The federal government has given an additional $13.8 million on top of the budgeted $40 million for the work to be undertaken by the commission, which will operate from Sept. 1, 2016, to Dec. 31, 2018. The Department of Justice will also be providing new funding. An emotional Jody Wilson-Raybould, justice minister and attorney general, announced $16.17 million over three years to allow provinces and territories to establish family liaison units to help families get information on lost members. As well, $4.5 million will be used to support victim service projects across the country. Indigenous and Northern Affairs Minister Carolyn Bennett said the national inquiry is unique in that not only is it supported through the federal Inquiries Act, but provinces and territories are in the process of passing orders in council giving the commission access within provincial and territorial jurisdictions. The commission will be supported by regional special advisory committees. “We are handing over authority to the five commissioners to conduct the inquiry in the manner they see fit,” said Wilson-Raybould. The terms of reference for the commission are located here. However, Bennett outlined those terms of reference, saying the commission would explore systemic and underlying causes of violence; examine the policies and practices to address violence against Indigenous women and girls; be empowered to assess the institutions as well as their practices and their policies, including police conduct and investigation and child welfare policies; recommend concrete and effective action in order to remove systemic causes of violence and increase the safety of Indigenous women and girls; and recommend ways to honour and commemorate missing and murdered Indigenous women and girls. Bennett said during the course of the commission’s mandate, immediate action could be taken on some recommendations. Patty Hajdu, minister of status of women, said that while the government awaits the results of the commission’s recommendations, she will be working on federal strategies to address gender-based violence.